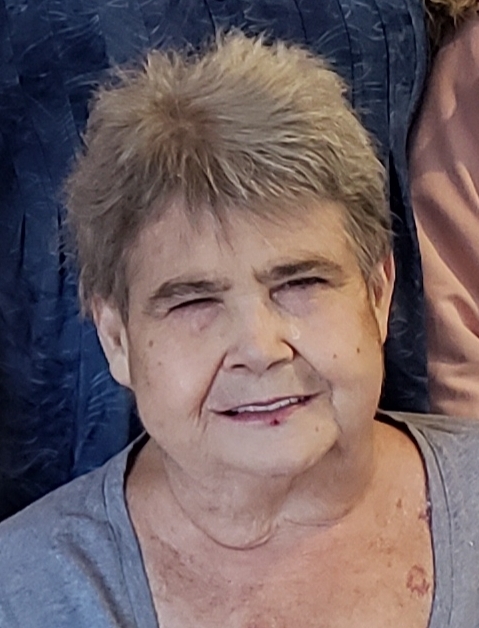 Alice Jane Clouse, 70, of Paoli, Indiana passed away Saturday February 2, 2019 at Paoli Health & Living in Paoli, Indiana. She was born on January 20, 1949 in Paoli, Indiana to Lawrence Omer Dunn Sr. and Ada Ellen Moore Dunn. She married Ronald Dale Clouse on May 23, 1968. She was preceded in death by her parents, six brothers Lawrence Omer Dunn Jr., Gerald Moore Dunn, Donnie Eugene Dunn, Charles Everett Dunn, Robert Lee Dunn and Carl Wayne Dunn and one sister Ella Rose Florence. She attended Paoli Wesleyan Church in Paoli, Indiana. She worked for Brittany Furniture and as a Home Health Care Nurse. She enjoyed her grandchildren, camping and playing Bingo. Also surviving Alice Jane Clouse are four grandchildren and six great-grandchildren. Funeral Services will be at 1:00 P.M. Wednesday, February 6, 2019 at Dillman-Scott Funeral Home with Barry Laird officiating. Interment will follow in the Paoli Community Cemetery. Visitation to be held Tuesday February 5, 2019 from 4:00 P.M. to 7:00 P.M. and from 9:00 A.M. until time of service on Wednesday at Dillman-Scott Funeral Home, 226 West Campbell Street, Paoli, Indiana.